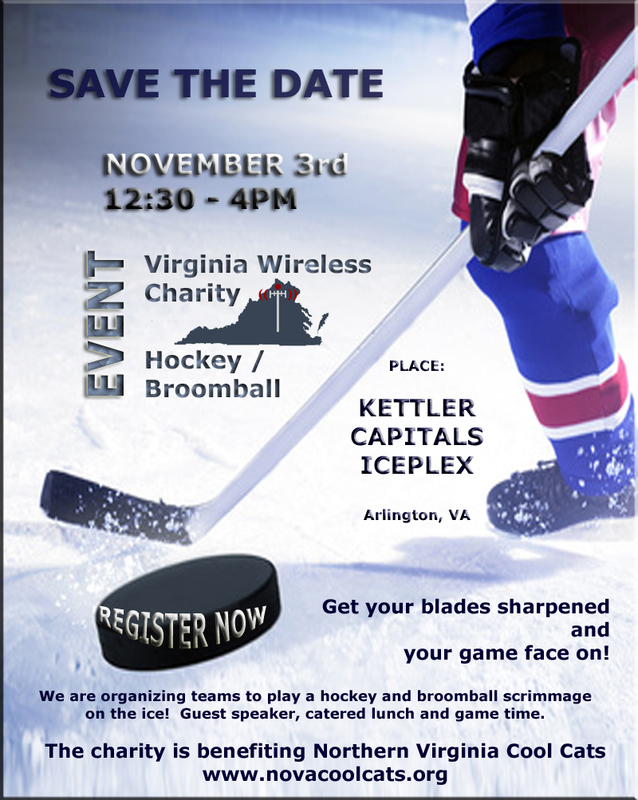 Wireless Charity Game | NOVA Cool Cats Special Hockey, Inc.
REGISTER NOW: Click Here to register today! Only cash/check payment will be accepted! Registration includes: Hockey and/or Broomball Player and Lunch. © Virginia Wireless Association Inc. 2008 - 2011. | Design & Web: Quappa Inc.
You are currently subscribed to the www.vawireless.org newsletter. To stop receiving the VWA newsletter, reply to this email with unsubscribe in the subject line. If you are replying from an address other than the one this email is being sent to, please include the email address to which the newsletter is addressed.